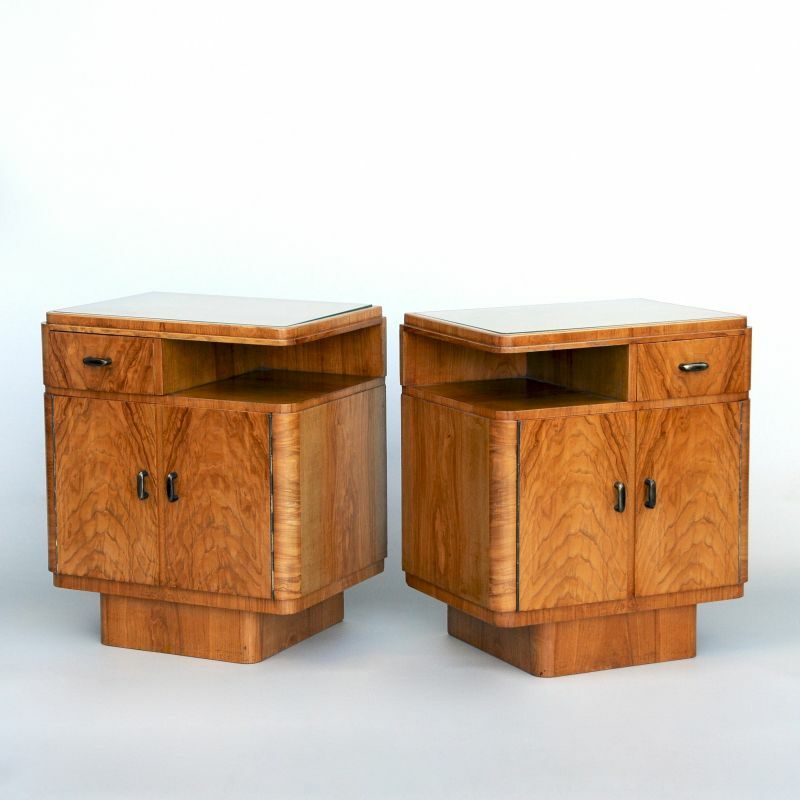 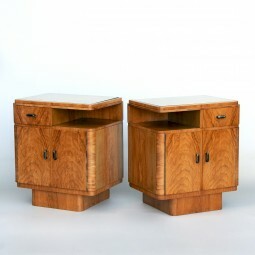 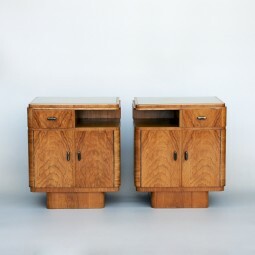 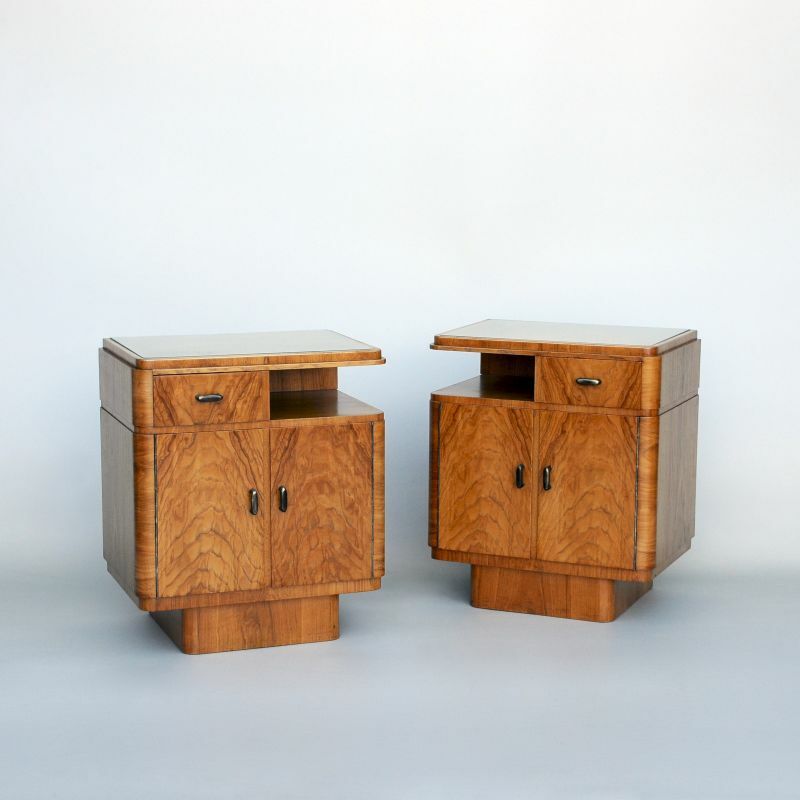 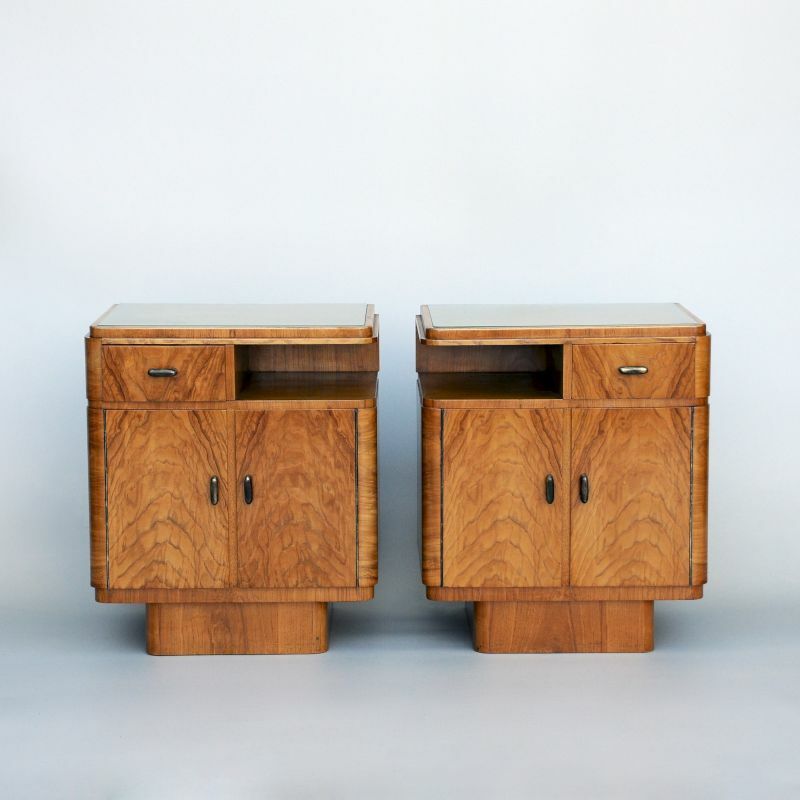 It is so unusual to find pairs of bedside cabinets from any period. These are Art Deco in style and date. They are mirror matched to give the same access from either side of the bed. 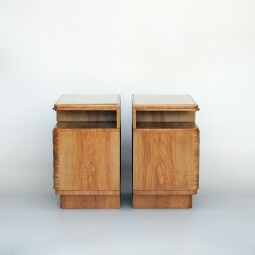 They are constructed using matching figured veneers of light walnut, with rounded corners and brass handles. 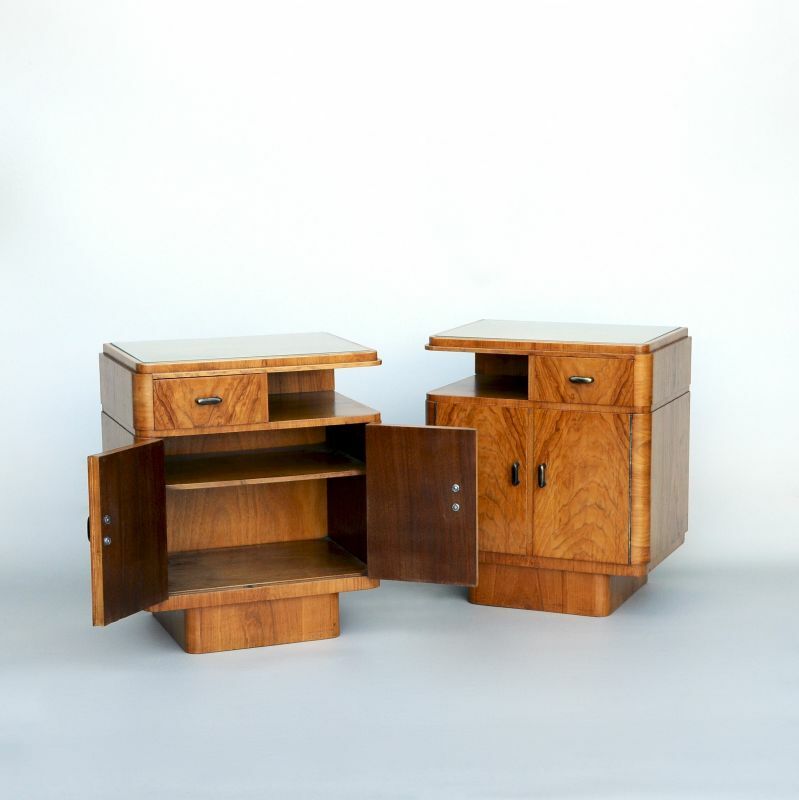 All typical of the era. 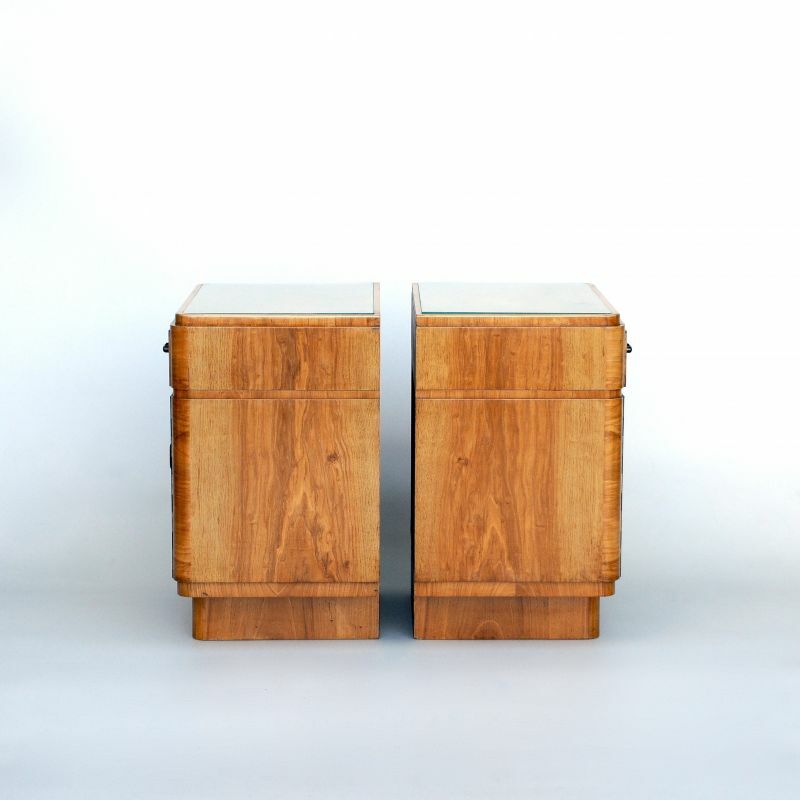 There is an inset glass to the tops to avoid ring marks from hot and cold drinks. 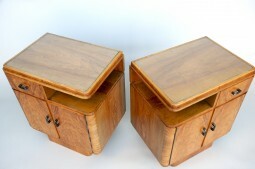 They are in very good general condition, and have recently been cleaned and polished. 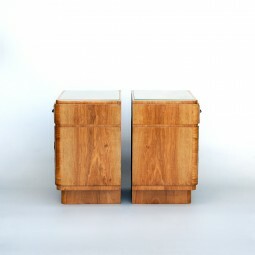 The measurements are 53 cm wide, 38 cm deep and 60 cm high.